Ofcom has completed an assessment of 2BR’s output saying its rebrand to Capital will not require any variations to its licences. Global bought the Lancashire station from UKRD in July last year, and has just announced it will be merged into Capital Manchester. The 2BR licences, which are for the Blackburn, Burley & Pendle and Preston, Chorley & Leyland areas of Lancashire, all broadcast as 2BR and share the same programming. Ofcom said 2BR was exceeding its requirements to broadcast 10 hours a day of locally made programmes, as all of its output was broadcast locally from studios in Accrington, with the exception of evening programming, which comprised continuous music and was produced at UKRD’s Minster FM studios in York. Produced by a team of three in-house journalists, separate local news bulletins for each of the three different licence areas were broadcast, with the content of the bulletins tailored to each locality. On weekdays, local news bulletins of approximately two minutes duration were broadcast at the top of the hour between 06.00 and 19.00, with headlines at 07.30, 08.30 and 17.30. This represented an over-delivery of local news by 2BR, since the station Formats only require local news to be provided at peak-time. At weekends, local news was provided hourly between 09.00 and 14.00, in accordance with the Format requirement. Local traffic and travel bulletins were broadcast every 20 minutes during weekday peak-time, with hourly bulletins also provided up to 22.00. Local weather forecasts were broadcast every hour during live programming, and local ‘what’s on’ information was broadcast three times per day. Regular community engagement (such as on-air appeals and local “hero” awards) were also a regular feature of 2BR’s output. Under new ownership, the station will reduce locally made hours to three per weekday, and share those with Capital Manchester. The rest of the output, 21 hours per weekday and 24 hours each Saturday and Sunday, will come from London. 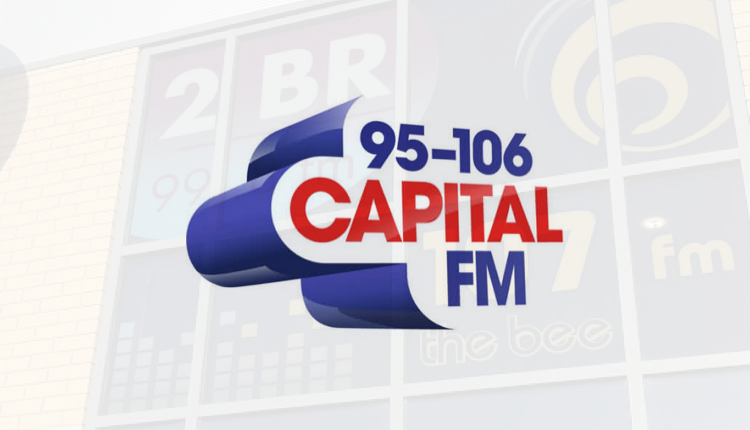 During peak-time programming, Capital Lancashire will feature twice-hourly traffic and travel updates and hourly weather updates, with ad hoc updates during the rest of the station’s output. There will also be localised presenter links to promote local events and happenings. Local news bulletins, of approximately 90 seconds duration, will generally be compiled from Global’s regional newsroom in Manchester, and broadcast from 06.00 to 19.00 on weekdays and from 06.00 to noon on Saturdays and Sundays. Two separate local bulletins will be produced – one for the Burnley & Pendle licence and the other for the Preston and Blackburn licences. The new owners also plan to introduce a specialist dance remix show “The Capital Weekender with Ministry of Sound” on Friday and Saturday nights. • the extent to which local material and locally-made programmes are included in the service. Capital Lancashire will launch on April 8th after two weeks of teasing starting March 25th. It must have been a hell of an assessment. What Global want = We give them it. I’m genuinely beginning to wonder if some brown envelopes are being passed to people in Ofcom given whats been happening recently. The deriliction of duty is just staggering. How you can say that things like the character of the service won’t change when local output is being reduced to three hours on weekdays and nothing at weekends is beyond me.On top of that the station is changing the age group it is aiming at from one playing 40 hours of music to just current and recent hits.They don’t seem to worry that bulletins are are being cut from 2 minutes to 99 seconds although I thought there was supposed to be an enhanced news service when local programmes are dropped.How can you get much meaningful local content with national and world news and probably weather too in 90 seconds?.The stuff about over delivery of local news should be something to be proud of and any decent regulator should, in my opinion, encourage ,anyway there will not likely be any over delivery from now on. Correction-I meant 40 years of music,the playlists between UKRD and Capital cover rather different eras so it will be a bit of a change for current listeners-almost unrecognisable one would think!. This started as 3 stations each covering 2-3 towns each and it is therefore no wonder that they had to amalgamate into a bigger 2BR…to start with. So this was inevitable because, once again, too many licenses were in one place and couldn’t survive covering such a small area. If, back in the day, in Lancashire’s case, they had extended Rock FM’s coverage, for example, rather than hand out these extra piddly little licences, the spectrum wouldn’t be the shape it is today. Correction… After two weeks of massacre takes place. Distroying the character of the service of 10hours a day of local content & sacking majority of the staff. Sorry to sound so abrupt, but there was no review/ investigation. Just let them have it just to shut it down, as it’s merging into Manchester’s Crapital. It should have been sold to someone else. But then the parent company clearly didn’t care. What gets to me the most is it being sold to someone who’s merging it in with another service. That’s just a shutdown. So over-delivery is a bad thing? Anyway, no need to worry about Global making any failings in that direction. This would only be a news story if Global announced they were keeping the local content and output at the current level! We get the same old stories out of Global and OFCOM – just so boring, boring, boring. 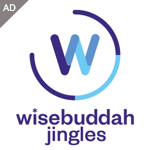 Another station to close and more profits to add their £500 million made last year from Global’s radio division. I would hate to work for Global not knowing if my job was next to go. They seem a dreadful outfit. Global could have turned 2BR into Radio X but with a hybrid playlist of Capital and Radio X, kept Mike & Tatum on breakfast 6-10am and local drive 3-7pm, with networking 10am-3pm and 7pm-6am when automation is normally on. Makes more sense than Capital! Glad to see global take over these stations. They will only die out eventually if it wasn’t for Global. Are you saying you would prefer no radio station at all ? I take it you work for Global just to even out the backlash!? Global will be able to tightly target the younger audience in Lancs while Rock FM shoehorns 90s tracks into their supposed ‘Hits’ format, where as 2BR already crosses over with Heart, Smooth and Capital, so it’s a no brainer. 2025-2030 2 major commercial networks, 2 main studios, no local opt outs, “nationalisation” complete….